It is impossible to define what best means accurately. Do we rate it by popularity or rarity? By quantitative measures or qualitative measures? By importance or timeliness? It is almost as hard to define as success. Was ERE a success in 2008? To me there is only one way to define success. Getting up each morning, doing what you want, and providing value to others. By that measure ERE was a success: I still write, I still write exactly what I want, and readers still tell me, occasionally, that my utterings are useful 🙂 . Is your stuff holding you back? Get wealthy trick: Don’t spend any money until it is re-earned. Can I retire with 2 million dollars? Which morals are most useful for personal finance? Think Big, Basically and Simply. Who needs a college degree anyway? 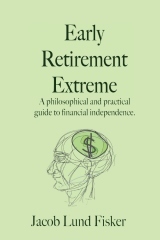 How much do I need to save for extreme early retirement? Is being process-oriented better than being goal-oriented? How do I get my spouse to go along with my frugal plans? How well are you doing on your way to early retirement? The death of buy and hold? What the down market means for extreme early retirement? What do you see when you look at someone? previous post: New year’s resolutions? – Not me! 4 users responded in " The best posts of Early Retirement Extreme in 2008 "
Jacob – I’m getting errors when I click on the links above. Not sure why. @Kevin M – It appears to have been a Y2K style problem breaking all the links when we went from 2008 to 2009. It’s fixed now. Thanks!! Ha! Y2K did happen…only 9 years too late. Oh well. I found the archives manually, but this list was a good idea. Jacob, I just got through reading Month 1 of your blog upto now. I have spent a lot of wonderful hours on your blog. I want to thank you very much for writing it. I am very inspired and many changes have happened in our household due to your blog.